ST. GEORGE — In the wake of the deadliest mass shooting in United States history Sunday morning in Orland, Florida, flags in Utah will be lowered and a number of Utah officials have released statements. A gunman opened fire at a gay night club in Orlando, Florida, early Sunday, killing 50 people and wounding 53 more before he was killed in a shootout with SWAT team members. Names of those killed in the shooting are being published on the City of Orlando’s website after families have been contacted. See the list here. Gov. Gary R. Herbert has authorized the lowering of the flag of the United States of America and the flag of the state of Utah to honor the victims of the act of terror perpetuated in Orlando. Flags will be flown at half-staff beginning immediately until sunset Thursday. Our hearts are broken for those who have lost loved ones, family and friends in this despicable and cowardly attack. As Utahns, we must unite together with those from around the world in love and prayer for our brothers and sisters who are the victims of this terrible tragedy. While there remains many unanswered questions at this time, such violence must be condemned by all of us. The Utah Department of Public Safety continues to be in communication with local and national authorities as more information is obtained. Once again innocent Americans have suffered a horrendous attack. We can’t allow this to become the new normal. The FBI is investigating the Orlando mass shooting as a terrorist attack. As a member of the House Intelligence Committee I will do everything in my power to ensure that we successfully fight Islamic Terrorism- both at home and abroad. This attack serves as a reminder that Islamic terrorism is a threat to every community in America. We know Islamic terrorists target Christians, the LGBT community, women and a variety of other groups. They are nothing but evil and they must be stopped. Which is why we as national leaders need to strengthen our national security to prevent future attacks. I hope you will join me in not only sending our thoughts and prayers to everyone affected by today’s terrible events, but also join me in seeking ways to bolster our security at home and abroad. Our thoughts and prayers for those killed and injured in Orlando are appropriate today. But the time is far spent for that alone. Not one more life should be lost due to any lack of understanding about how to deal with mass killings in America. As a state and country we need to provide the resources to make progress on getting the answers to questions about how to reduce the number of mass killings and the lethality of those events. We may need greater mental health resources. Perhaps better regulation of guns or other lethal weapons may be advisable. More effective tools for law enforcement may save lives. New technology may provide a significant benefit. In all likelihood, some combination of these things, together with other measures, is necessary. But let’s make the decision, as a state and nation, to get accurate and unbiased information, and then provide the necessary resources, to decrease the number of mass killings we are experiencing. That’s the way we have dramatically reduced both the number of auto collisions in our country and the lethality of those collisions when they occur. We can and should do the same for mass killings. We are shocked and profoundly saddened by the tragedy of today’s shooting in Orlando. We express our deepest sympathies to those who have lost family and friends in this despicable act of terror and cowardice. Regardless of whether this massacre of innocent lives was motivated by radical terrorist ideology, hatred toward the LGBTQ community or any other reason, it was a monstrous act that we denounce in every respect. As a caution, we cannot allow this horror to fuel reactive and displaced blame toward peaceful and law-abiding Muslim members of our communities. Rather, we should rally together as Americans and as human beings to unitedly offer our prayers and support for families of victims. With one voice, we must loudly decry violence and hatred toward fellow human beings of any race, religion or sexual orientation. My office has offered, if it is needed, the full resources of the Utah Attorney General’s investigative division to help our law enforcement colleagues in Florida. Additional statements from Utah officials will be added to this report as received. 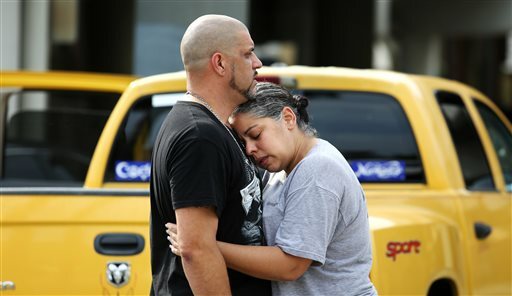 The Associated Press contributed portions of this report from Orlando, Florida.